President Donald Trump, who has hitched his political fortunes to the market's rise, is blaming increases in interest rates for its fall. Some experts warn that the broadsides threaten the Fed's independence. President Donald Trump responded to falling stock prices Thursday by continuing to throw rocks at the Federal Reserve, which he has described as “crazy,” “loco,” “going wild” and “out of control” for slowly raising interest rates against the backdrop of a booming economy. Trump’s pointed remarks reflect the high political stakes less than a month before midterm elections that have been cast by his political opponents as a referendum on his presidency. Trump has been riding the economy hard, bragging about job creation, tax cuts and reduced federal regulation, and claiming credit for the rise of the stock market. Now that the market has lost 5 percent of its value in the past week, Trump is insisting someone else is to blame. In fact, despite the stock market’s plunge, the U.S. economy continues to grow, which is what is prompting the Fed to raise interest rates and drawing the president’s ire. Fed Chairman Jerome H. Powell has said that the economy is in a “particularly bright moment” and that he sees no clouds on the horizon. But after hitching his political fortunes to the rise of the stock market, Trump is now looking to decouple himself from its fall. Republicans are instead emphasizing continued economic growth and the lowest unemployment rate since 1969. So far, the president’s comments have made little impression on market expectations about Fed policy. Unlike Jackson’s concerted campaign, Trump’s attacks appear curiously unmoored from the policies of his own administration or the long-standing goals of the Republican Party. Trump’s own aides have insisted that the president’s remarks are personal musings, not an attempt to dictate policy. 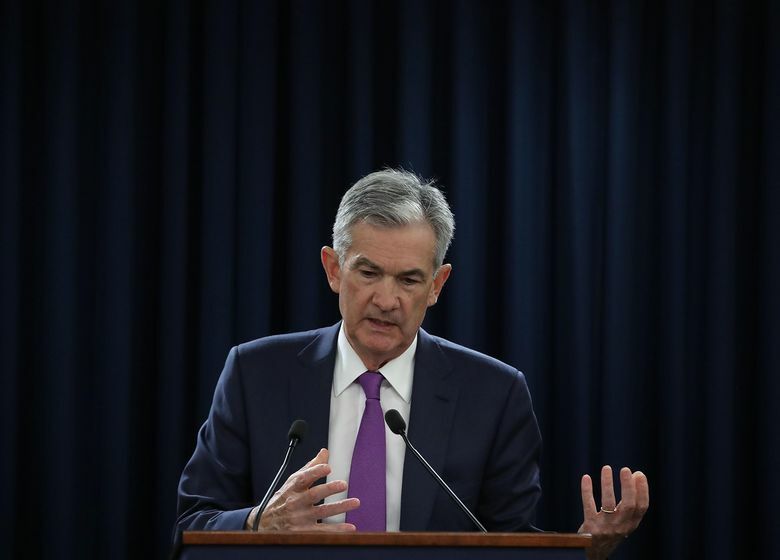 Powell emphasized that the decision to raise rates to a range between 2 and 2.25 percent was not intended to get in the way of continued growth. “My colleagues and I are doing all we can to keep the economy strong, healthy and moving forward,” he said. A spokeswoman declined to comment Thursday. Peter Conti-Brown, a professor of legal studies at the University of Pennsylvania and the author of a political history of the Fed, pointed to the example of the FBI, another institution Trump has repeatedly attacked by raising questions about the integrity of its decision making. Conti-Brown said technocratic institutions are insulated from political pressure by public confidence. If confidence erodes, it becomes harder for technocrats to resist the politicians. The FBI has seen a loss of leadership, an erosion of morale and an increase in congressional scrutiny. Trump criticized the Fed when it raised interest rates in July, and again when it raised interest rates in September. But his attacks have sharply intensified in recent days, in tandem with the drop in the stock market. “I think the Fed has gone crazy,” he told reporters Wednesday afternoon. Later in the day, speaking with Fox News, he continued to increase the heat. “The Fed is going wild,” he said. “I don’t know what their problem is. They are raising interest rates and it’s ridiculous. Trump added that he was “disappointed” with Powell but did not plan to fire him — an authority the president may not even have. While the president in theory has the power to remove a Fed chairman “for cause,” courts have held that the permissible causes do not include policy disagreements. For the moment, Trump’s criticism of the Fed does not seem to be catching on with Republican candidates. Many Republicans have argued for years that the Fed was waiting too long to raise interest rates, and then that it was moving too slowly. The party is trying to hold on to majorities in the Senate and the House by running on a strong economy and using the heated liberal opposition to Justice Brett Kavanaugh’s Supreme Court confirmation as an example of the threat Democrats pose if they control Congress. That dynamic could change, however, if the stock market continues to fall. President Lyndon B. Johnson protested a decision to raise interest rates in the late 1960s by summoning the Fed chairman at the time, William McChesney Martin, to his East Texas ranch and pinning the smaller man against a wall. President Richard M. Nixon instructed aides to blackmail Martin’s successor, Arthur Burns. President George Bush declared in a State of the Union address that the Fed should keep rates low. 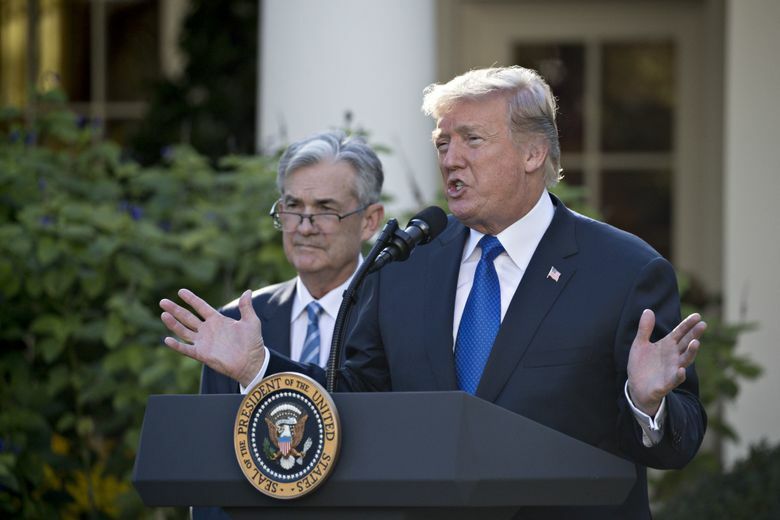 Krishna Guha, head of the central bank strategy team at Evercore ISI, said he did not expect Trump’s remarks to influence the Fed, and he saw no evidence that markets were paying attention. But he added that if Trump did succeed, he would most likely regret doing so. If Trump’s attacks convince markets that the Fed may move more slowly, or show greater tolerance of inflation, bond yields would rise, which would put further downward pressure on equity prices. Still, Guha — formerly a senior official at the Federal Reserve Bank of New York — said the president’s criticisms were not good for the central bank or the future conduct of economic policy. Trump’s criticisms appear strangely at odds with the way he has handled the most powerful means at his disposal to influence monetary policy. Since taking office less than two years ago, he has had the unusual opportunity to fill six of the seven seats on the Fed’s board of governors. He filled the top three positions on the Fed’s board, including the chairman’s job, with members of the Republican policymaking establishment, which has long been committed to keeping inflation firmly under control. 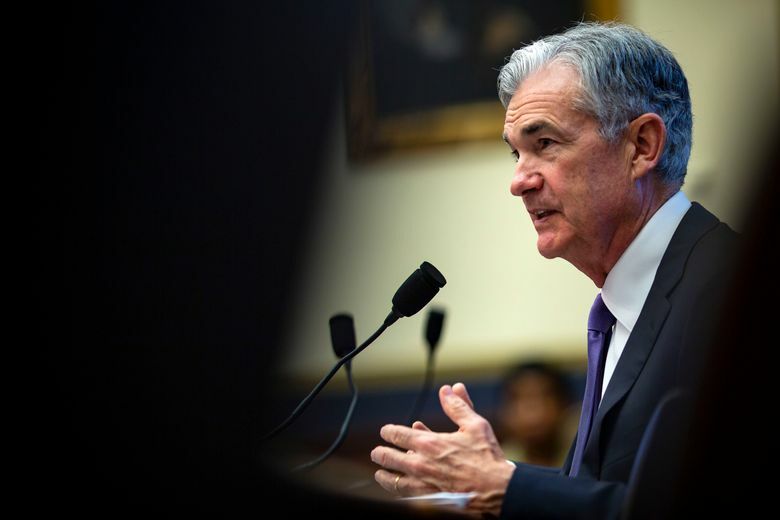 Three other nominees, still awaiting confirmation, are a more diverse group, but there is no indication any share Trump’s stated opposition to raising interest rates. A looming question, he said, is whether Trump might begin to match his actions to his words.